Olga Kikou is European Affairs manager for Compassion in World Farming (CIWF), an international NGO working on the welfare of farm animals and sustainable farming and food. Recent protests about the falling price of milk have brought attention to the intensification of the dairy sector and the disappearance of small farmers. The end of the EU’s milk quota system means that farmers can produce as much as they like, which inevitably leads to a rise in supply thereby exceeding demand and forcing milk prices down. The intensification of dairy farming across Europe is well underway. Mega-dairy projects are springing up everywhere. Despite problems, member states and big farmers are looking to increase the scale of operations by investing in bigger indoor facilities, so called zero grazing or mega dairies, where animals remain indoors all year. The recent case of Ireland, and the planned doubling of livestock numbers, is a good example. Ireland is on the path to increase milk production by 50%, with an additional 300,000, cows by 2020. A market oriented towards exports drives Ireland’s vision for the future, and other countries are likely to follow this path. Further away, news made the headlines about China building the biggest dairy farm in the world, a 100,000 dairy cow farm in the northeastern part of the country that will supply Russia. The enormous need for animal feed will be mostly met by Russian feed grown on 100,000 hectares of land. The country already has units of 40,000 cows. While most farms in the EU do not exceed a few hundred animals, the trend is to expand and intensify the sector, establishing more of these zero grazing mega dairies. Large scale dairy farming has the potential to exacerbate existing problems. The continued drive to increase milk production comes at the expense of the environment. The negative externalities associated with milk production have been widely acknowledged. Livestock emissions and their contribution to climate change have been very much the focus of many studies over the last decade. Livestock farming accounts for 14.5% of global emissions, according to the well-known FAO report “Livestock’s Long Shadow”. So far, the immense problems of agricultural impacts on the environment have not been seriously addressed. Agriculture is a very significant source of climate emissions, in addition to impacts on biodiversity, water quality, land use, soil, etc. A recent Chatham House report, Livestock: Climate Change’s Forgotten Sector, Global Public Opinion on Meat and Dairy Consumption correctly noted that despite its massive contribution to climate change, beef and dairy “attracts remarkably little policy attention at either the international or national level”. Legislators and policymakers have been shying away from addressing the needed shift in diets away from animal products. On the health side, while the obsession with milk continues, it no longer goes unchallenged. Growing evidence questioning the notion that high milk consumption is good for human health and linking it to diseases is gaining ground. Plant based milk alternatives are widely available and sales are soaring. Still, while the prospects for the future point to a different paradigm altogether, the present looks bleak. EU policies and subsidies have supported the farming sector and contributed to its intensification. EU institutions have not been alarmed by the inherent problems. Most of all, they have failed to address concerns about the declining welfare of dairy cows and the serious challenges ahead. Over the years, dairy cows have been under huge pressure to produce more milk. Selective breeding helped to considerably increase the average milk yield, more than doubling the yield per cow. Cows need more feed in order to produce more milk. In order to supplement the grass that cows are fed with, imports of cereals and soya are required to keep milk production steady. The lack of adequate pasture land and the increased needs for feed provide the justification to keep cows indoors, quite often year round. There is currently no EU legislation specifically on the welfare of dairy cows. Provisions in Directive 98/58 on the Protection of Farm Animals and the Council of Europe Recommendation on Cattle are quite broad, failing to offer any real protection for dairy cows. Investigations into dairy farming in the EU carried out by the international farm animal welfare organization Compassion in World Farming revealed shocking evidence of animals being kept in cramped and squalid conditions, many tethered year round, suffering from lameness, mastitis and other health problems associated with high milk yields, with sores on their legs, living in barren and overcrowded units, unable to express innate behaviour. Key welfare problems were evident in farms regardless of size which demonstrates the urgent need for legislation to cover the entire sector. As more facts about milk production are made known, many disturbing aspects of the lives of dairy cows and calves are revealed: the cow is impregnated before the age of two, goes through pregnancy and gives birth; the young calf is usually taken away from the mother, a very distressing process for both. The cow keeps producing milk, and after a few months, is impregnated again in a cycle which is repeated for a few years, until the cow is worn, out at which point is sent to slaughter for meat that will be sold at a lower price than meat from beef cattle. An average life span of five to six years is becoming standard for the sector. The romanticism surrounding milk production obscures the truth. The modern dairy farm differs vastly from the rosy pictures of cows in fields. Countryside idyllic images in milk cartons do not reflect the reality of cows being treated as milk-producing machines. Soon, rural scenes of grazing animals and small farms scattered around the landscape will be found only in children’s books. They will have become part of the past. Meanwhile, with trade agreements such as TPP and TTIP looming on the horizon, there is no doubt that nightmarish scenarios of enormous dairy farms will become real, as the scale of investment in dairy production continues to grow and new markets open up. At the same time, smaller-size family farms will be unable to cope, and agribusiness groups will take even more control of the sector. In this climate of falling prices, the “quality” argument emerges as the most viable solution for the dairy sector. While some farmers are turning to alternatives including arable farming or leaving the sector altogether, others will need to introduce humane and sustainable ways of farming in order to remain in business. The welfare of dairy cows may well be the decisive factor that could keep this sector alive. “Quality” though cannot be achieved without strong animal welfare legislation, which unfortunately is lacking at present. Enacting legislation and establishing high animal welfare standards protecting the welfare of cows is of utmost importance. Producing a product of higher quality, in an environmentally sustainable way, and with respect for the welfare of animals, may actually be the future. In addition, labelling according to method of production, indicating higher welfare dairy farming, will aid consumers to choose these products and will enable claims of quality to stand up to scrutiny. 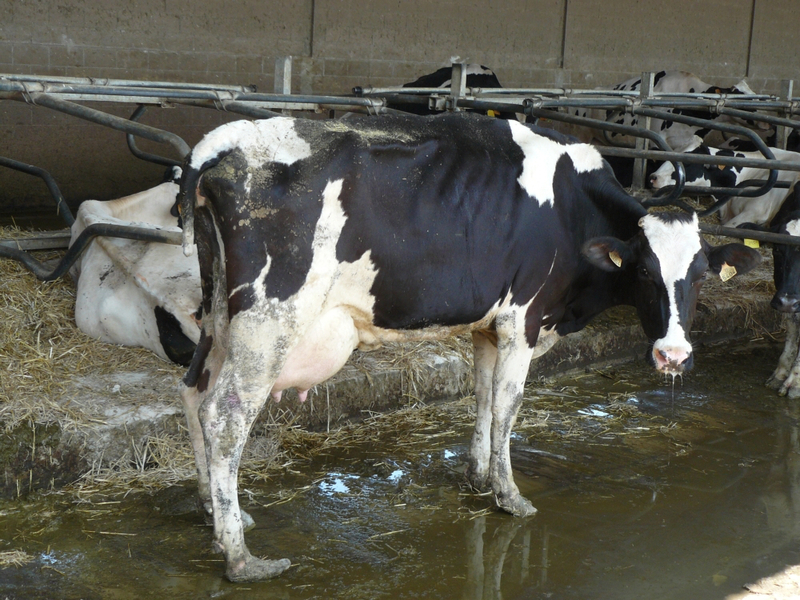 In this context, supporting the call for species specific legislation for dairy cows in order to address the serious welfare concerns, including those arising from the increasing industrialization of dairy farming across the EU, will ensure that dairy farmers differentiate themselves from the policies of endless growth which are doomed to fail and will drive the sector further away from a sustainable future.